Country cottage in the Schedule of a farm, isolated from any other dwelling, on the high Ardennes plateau. This haven has all the equipment necessary for your comfort. On the terrace you can barbecue and enjoy the beautiful view. At the heart of Parc Naturel des 2 Ourthes, you will be close to horses, cows, goats and sheep. You can directly access walking paths in the forest or meadow. 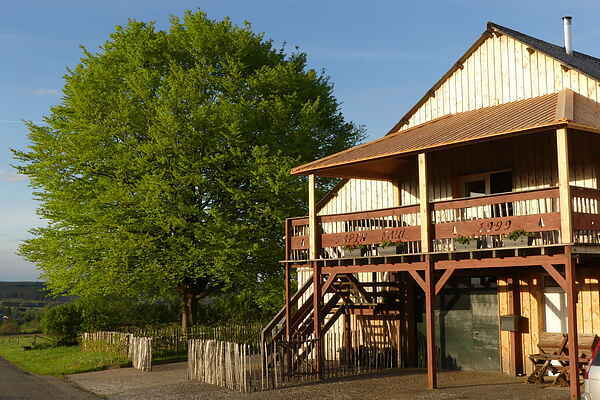 In this small old-fashioned farm, the owners offer to participate in farming activities with the horses or the old tractor, to treat animals or gardening. Possibility of carriage rides.